The Bishop of Salisbury now turned up again, like a bird of ill omen. He gently let fall in the course of a chat with Charlotte that he had heard from the Prime Minister and Lord Eldon that unless she were to write a submissive letter to her father, promising to reconsider her decision in a few months and marry the Prince of Orange, ‘arrangements would be made by no means agreeable to her inclinations’. This last phrase bore the stamp of her enemy, Eldon, who had once said that if she were his daughter he would have her locked up. On that occasion, she burst into tears: now she was past crying. She wrote to her father an affectionate, if not a submissive letter. She had not written before, she said, for fear of an unfavourable reception; but she found it impossible to remain silent any longer without letting him know how she dreaded having angered him and forfeited his affection. She had hoped, she went on, to have had a chance to talk to him, and to justify ‘any part of my conduct that may have displeased you’. She told him that her health was troubling her: for weeks she had suffered from a painful and swollen knee, and the doctors now advised sea air to restore her. She knew how important it was for her to be well, but she assured him that she could never make ‘a perfect recovery’ unless she knew herself forgiven and restored to favour. The Regent did not answer. But the relief was short-lived. Next day, the day when Charlotte and the Prince were due to meet, her father came round in the morning to Warwick House and put the pressure on again. He assured Charlotte that there was nothing to be nervous about. The dinner party was to be informal and as small as possible. She was to be accompanied only by the Duchess of Leeds. But, ‘he exacted a promise’. Charlotte must make up her mind that evening. After dinner she was to give him her answer ‘one way or the other’. When Charlotte set out for the dinner, dressed in ‘violet satin, trimmed with black lace’, she was, in Miss Knight’s words, ‘pale and agitated’, and she went, in her own words ‘with trepidation’. After dinner, when many other guests arrived, the young couple walked up and down among them in the state apartments for a while. 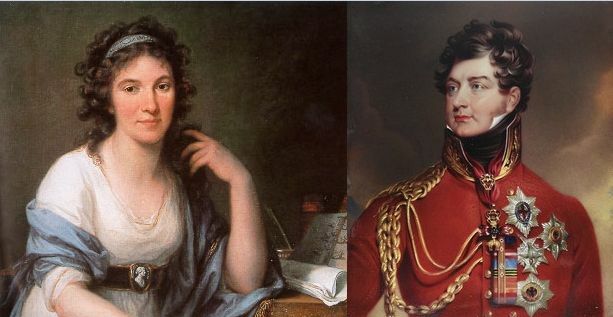 Then the Prince Regent came over, led Charlotte away to another room and asked her what she thought of the Prince. ‘Then it will not do?’ he said. 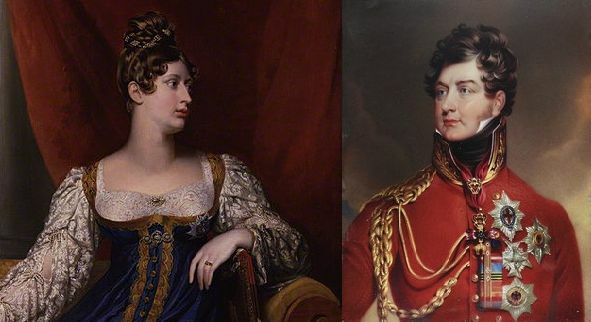 It was hardly a firm answer ‘one way or the other’, but it was enough for the the Prince Regent. He became as over-emotional as only he knew how. ‘You make me the happiest person in the world’, he said. He called over the Prime Minister and Lady Liverpool and gave them the good news. While they congratulated the Princess, he summoned the ‘quite awestruck’ Prince. Then he joined the Prince’s hand with his daughter’s and gave them both his royal blessing. There was to be no going back now. Not if he could help it. For Charlotte the spring and summer of 1813 were for the most part dreary and sad. The only balls that she attended were in the houses of her father or her uncles, and at all of them the Prince Regent was as paranoid as ever. At one ball, given by the Duke and Duchess of York, the Prince saw that his daughter was again sitting on a sofa talking to the Duke of Gloucester, for whom, if he only knew it, she did not have ‘the smallest partiality’. He instructed Lady Liverpool to go over and tell her to change places with Lady Bathurst, who was sitting on the other side of her. Instead of obeying, Charlotte stood up and strode out of the room. Later she went back and apologised to the Duke, and she went home, in the words of Cornelia Knight, ‘indignant and hurt at having been watched and worried’. 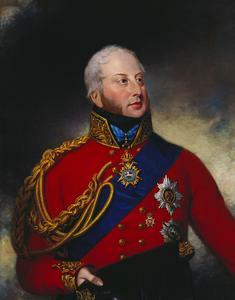 The Prince was equally suspicious of the Duke of Devonshire, who was certainly very attentive to Charlotte. But, as she told Mercer, he would bestow his attentions somewhere else, where they might at least be appreciated. Sir Henry Halford, who was fast becoming the Prince’s favourite messenger, was sent more than once to admonish the Duchess of Leeds and Miss Knight for not keeping a close enough watch when the Duke of Devonshire was around. 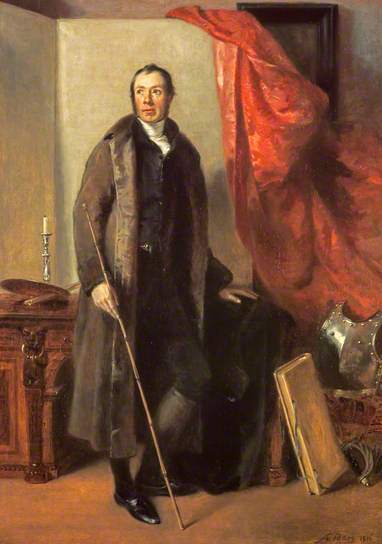 And on another occasion he was sent to tell Miss Knight that the Prince was not pleased to learn that she and Charlotte had been seen out in her carriage one morning on the road to Chiswick, where the Duke was giving a breakfast party at his villa – to which Miss Knight pleaded honestly that life at Warwick House was so dull that they had simply gone out to all the fancy carriages drive by. The Prince even forbade Charlotte to continue sitting for the painter George Sanders at his studio, because while she was there she was exposed to the bad influence of such visitors as Lady Jersey. Both the Duchess of Leeds and Miss Knight insisted defiantly that the pious painter and his studio were beyond reproach. Charlotte was having her portrait painted as a birthday present for her father, and the visitors were only there to see how it was coming on, sometimes at the Prince’s request. But it was to no avail, and since Sanders refused to paint at Warwick House, where the light was as bad as everything else, the birthday present was never finished. Charlotte, to her intense relief, was back in London. Even though Miss Knight described Warwick House as ‘miserably out of repair, and almost falling into ruins’, it was, she said ‘a seat of happiness to Princess Charlotte compared to Lower Lodge at Windsor’. The present arrangement was that she and her charge were to be one week in London and one at Lower Lodge. But Charlotte was ‘anxiously desirous’, said Miss Knight, ‘to remain in Town as much as possible.’ There, the prospect of a more entertaining life opened out: ‘when in Town we were to dine at Carlton House, to go to the Play and Opera, and to have a party at Warwick House, besides balls and great parties at Carlton House.’ And indeed, this gay life seemed to be beginning when Miss Knight, two days after her arrival, was invited to accompany the young Princess to dinner with her father. ‘We went at 7, and I was presented to the Regent in form.’ But she was surprised to find no ladies present, only Miss Goldsworthy, the Princesses’ governess, now very old, very deaf, and inclined to drop asleep over her dinner. However, there were three Royal Dukes, York, Cumberland and Cambridge, and Miss Knight’s feelings, so easily upset, were appeased by their princely graciousness. She could find no fault with the meal or with the surroundings; the rooms were ‘fitted up with great splendour and elegance’, though far too hot. But she could not approve of her host’s manner to his daughter. He hardly spoke to her, and showed her no affection. ‘His greatest attentions,’ she wrote, ‘were for Miss Goldsworthy,’ to whom he evidently chose to show more favour than the daughter of Sir Joseph Knight. Her conclusion was that ‘every consideration was to be sacrificed to the plan of keeping the Princess Charlotte as long as possible a child; and consequently, whoever belonged to her was to be thought a nurse or preceptress, inferior, of course, to the nurses and preceptresses of the Princesses her aunts’. Although inclined to be huffy on her own account, Miss Knight was far more concerned on Charlotte’s, now that she had seen her vis-a-vis her father. When they returned to Windsor, Cornelia found this opinion confirmed. 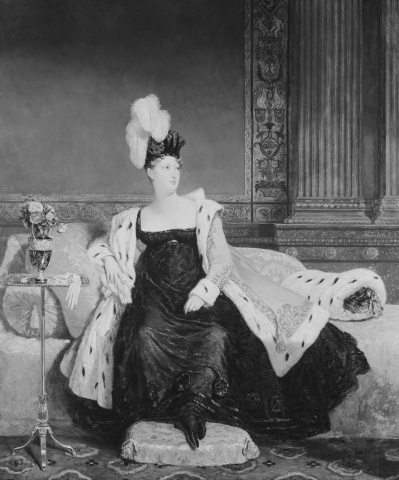 The Duchess of Leeds’s daughter was considered by the Queen to be a suitable companion for Charlotte, and parties were to be given of ‘young ladies not present’ – or, as Miss Knight put it scornfully, ‘children’s balls’. She was as indignant as Charlotte, whom she described as having ‘in understanding, penetration and stature…become a woman’. 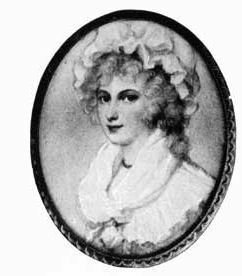 It must also be remembered that Charlotte had already had a love affair, was attractive to men, and enjoyed their company. The Prince was aware of this, and warned Miss Knight in the course of an evening party that she must see that there was no nonsense with the Duke of Gloucester. The Duke, who was known as Silly Billy, was thirty-seven and a gift to the caricaturists, but he was kind and friendly: perhaps, though, from later events, the Prince’s instincts were right, for the time came when Charlotte was quite ready to accept her goggle-eyed cousin Gloucester as a suitor.